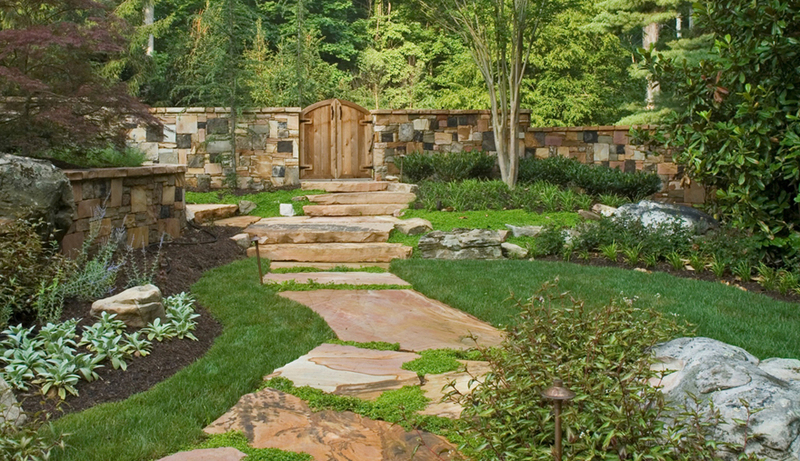 When we talk to our Potomac landscape maintenance clients about irrigation systems, we aren’t just talking about lawn irrigation. We are a talking about an overall landscape irrigation plan that employs multiple devices in multiple zones to apply water to turf and garden beds that have different moisture needs. In Potomac, and in the larger Maryland-Northern Virginia region, water is plentiful. So, the practice of using water resources for keeping lawns green and gardens perky isn’t being challenged here the way it is in other parts of the country. It’s a luxury, but one we can afford at present. And, with an intensely planted landscape, you want to be able to control which areas get water, when they get water and how much. Following good landscape maintenance best practices, we try to strike a balance between the amount of water we use and how often we apply it. It may surprise you to learn that watering infrequently stimulates root growth and makes your lawn and garden plants better able to withstand dry periods. The key is having a well-designed landscape irrigation system, good equipment and a top notch landscape management service to maintain it. Pop up spray head. You see these used to irrigate lawns. Each sprinkler head can be adjusted to spread water in a pattern covering 4 to 15 feet. Rotor spray head. Creates the effect of gentle rainfall. They are used to cover large areas because they can throw a spray of 30 to 40 feet. Direction and spread is adjustable. Drip line. The most efficient delivery method. Used in planting beds to apply water close to roots underneath the mulch. The slow delivery allows plants time to absorb water before it can drain away. Also, loss to evaporation is drastically reduced because the line runs under a protective layer of mulch. The device that manages water delivery rates and makes the various parts of the irrigation system work in harmony is the controller. The controller automatically opens and closes valves according to a preset schedule. Most controllers have a rain sensor or a water budget (seasonal adjust) that allows you to fine tune water usage to what’s expected to happen in the weather. The more high-end systems have smart rain sensors that signal the controller to stop watering when it rains. The the garden irrigation systems favored by landscape maintenance pros are manufactured by Toro, Rain Bird and Hunter. 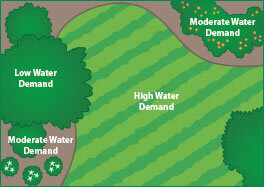 Each manufacturer offers a variety of systems to fulfill a variety of landscape irrigation needs. Some of them get very techie with Wi-Fi enabled controls and smartphone apps. Spring maintenance is most important. It’s common for spray heads to get pulled out of adjustment due to freezing and thawing in late winter. 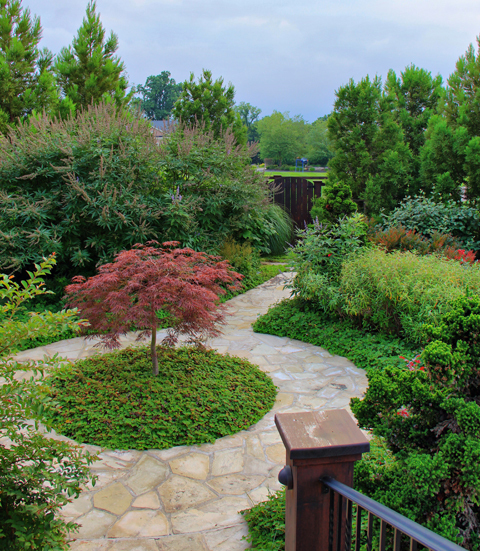 Your landscape maintenance contractor will test the system and make sure there are no leaks or clogged nozzles and that coverage areas are correct. He’ll also reprogram the settings on your controller such as start time, run time and rain sensor sensitivity. It’s worth it to keep up on this maintenance because it can improve the efficiency of your system by as much as 30%-40%. If you are thinking about installing a garden irrigation system, or would like us to assess your current system, please feel free to contact one of our garden management specialists.